Is a man’s skin different to a woman’s? Short answer: YES. Aside from the obvious structural differences—men typically have larger jaws, more pronounced Adam’s apples—due to testosterone levels, a man’s skin is about 25% thicker than a woman’s, and its texture is tougher. What does this mean? Stop using your wife’s moisturizer! 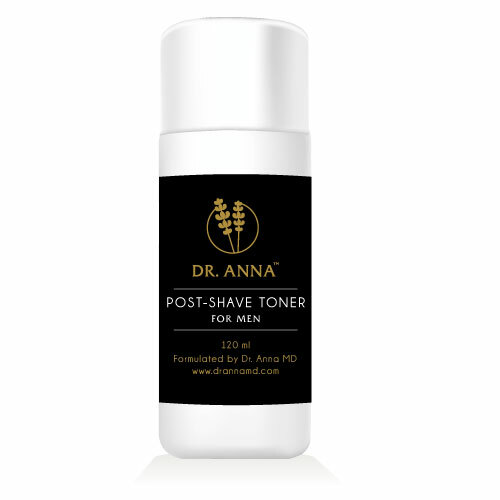 Dr. Anna has formulated an entire skincare range just for Men to address their specific concerns: rough surfaces, uneven tone, and clogged pores. Think of this Beard Oil like a good coffee for your face—it smells good, looks good, and gives you energy. 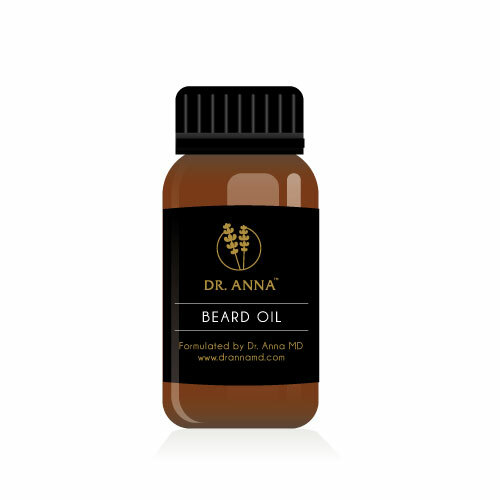 Dr. Anna’s Beard Oil feeds the follicle that stimulates growth and nourishes the skin beneath, conditioning the hair leaving it glossy (and not greasy). Beard Oil is that extra boost your beard needs! Dr. Anna created the Face Wash for Men for her patients who complained that their husbands used theirs! Now, gentlemen, you have a Face Wash that is totally formulated for you—a multi-action wash that dissolves excess oil, unclogs pores, and leaves skin moisturized and smooth. Fuel your skin with this simple and clean Anti-Aging Cream. MD-formulated specifically for Men, this hydrating cream supports the skin’s barrier function which retains natural moisture and regulates oil production (while shielding it from toxins). Maintain a healthy complexion with just two pumps a day. Instantly eliminate irritation with this Post Save Toner for Men. Shaving can agitate the skin’s surface, leaving you feeling raw and itchy—not anymore! This Toner boasts natural anti-inflammatory agents that restore the skin’s natural balance, closes pores, and soothes the skin post-shave. Scrub away pore-clogging nasties including dirt and environmental pollution while infusing the skin with natural properties. Dr. Anna’s Face Scrub for Men invigorates fatigued skin, leaving your face smooth and subtle—hello, handsome! Did you know we offer skincare Gift Certificates? Book a confidential, complimentary consultation with Dr. Anna today online or by calling 250 590 0883 or emailing dranna@drannamd.com.